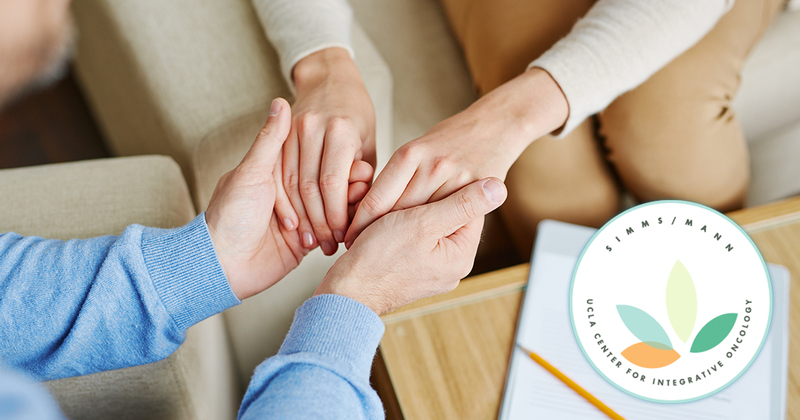 The Hirshberg Foundation provides financial support for psychosocial care through the Simms/Mann–UCLA Center for Integrative Oncology. Under the direction of Anne Coscarelli, Ph.D., Adjunct Professor of Medicine in the Division of Hematology/Oncology at the David Geffen School of Medicine at UCLA and Clinical Professor in the UCLA Department of Psychology, the Simms/Mann–UCLA Center for Integrative Oncology last year provided individualized medical and psychosocial interventions to more than 2,000 patients and families dealing with various cancer diagnoses and treatments, including pancreatic cancer. The Hirshberg Fund has contributed to the success of the Simms/Mann team in strengthening its relationship with UCLA physicians and other medical team members who provide care to patients with pancreatic cancer. Systematic outreach includes attending surgical clinics and maintaining a presence in the medical oncology offices that provide pancreatic cancer treatments. These efforts help ensure that patients with pancreatic cancer and their families are aware of and able to take advantage of the Center’s many offerings, most of which are available at no cost to them. These include visits with licensed psychologists and oncology social workers who offer individual and family counseling, and appointments with the Center’s psychiatrist who evaluates patients and their families and assesses their need for medications that may help them with sleep disorders, depression, anxiety, fatigue, and other conditions facing those affected by pancreatic cancer. Additionally, the Center’s interfaith chaplain is available for patients and families who seek spiritual support. The Hirshberg Fund also assists the Center with such offerings as the monthly lecture series, “Insights into Cancer,” which allows patients with pancreatic cancer and their families to connect with the larger community of physicians focused on cancer research. The Center’s support groups and workshops on topics such as mindfulness meditation, art therapy, and qigong enable patients to meet others who are being treated for cancer, while the Reflections Boutique aids with appearance issues caused by cancer and its treatment. Finally, the Center provides an extensive informational newsletter and online resources. The Hirshberg Foundation will continue its partnership with the Simms/Mann center in all of these endeavors to offer holistic treatment to patients and families affected by pancreatic cancer.